Businesses have long been using information technology to bring improvement in their productivity and efficiency and reach new markets. What’s new is that the expectations of customers have changed. People are making use of the internet for entertainment, shopping, to find jobs, old friends, locations, etc. How can businesses respond to this shift and capitalize on the opportunity to innovate, differentiate, grow, and be efficient? Well, they can do this by leveraging digital elements to transform their business models and set new directions. In other words, they need to undergo digital transformation to bring a radical improvement in their work structure and performance. The main forces behind this transformation are the surge in devices such as smartphones and tablets for mobile connectivity and the creation of social networks such as Facebook and Twitter. 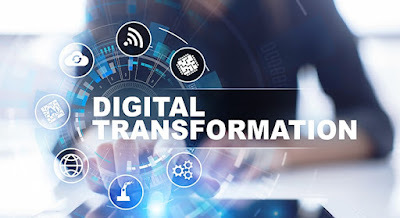 The market for digital transformation is witnessing a rapid growth in recent years owing to various factors such as the increased demand for the Internet of Things (IoT) and various technological innovations in digitalization. However, the lack of awareness of the benefits of digital transformation hinders the growth of the market. 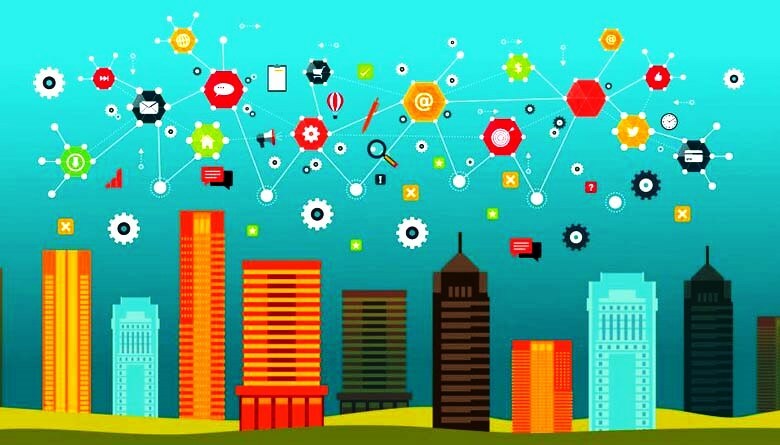 Several companies in the space are moving forward with digital transformation at different paces and experiencing various degrees of success. Some of them are transforming many parts of their businesses while some others are only implementing the basics. In October ’18, Sabre Corporation, a global travel technology company introduced its Digital Airlines Commercial Platform (DACP) with Aeroflot, Ethiopian Airlines and Etihad Airways. The platform is the only one in the industry to allow complete digital transformation via intelligent retailing. Infosys Finacle, a subsidiary of Infosys recently launched the Finacle Digital Engagement Suite that assists banks to sell, service, and engage customers with tailored experiences. Mariner, a business intelligence, analytics, and data science services provider, launched their sister company called Spyglass Connected Solutions Inc., an IIoT (Industrial Internet of Things) and AI (Artificial Intelligence) solutions company. The launch is aimed at helping manufacturers begin their digital transformation journey. The DACP platform, which Sabre calls the industry’s first, allows for complete digital transformation via intelligent retailing that comprises dynamic pricing capabilities, an open API hub, a speedy shopping engine, and a mobile-first, consumer-grade workspace for airport agents. All these components assist airlines to deliver a unique brand experience and increase revenue streams. DACP allows airlines to differentiate themselves from others and enhance the travel experience with industry-first retailing capabilities. An advanced omnichannel solution, the Finacle digital engagement suite assists banks onboard, sell, service and engage customers. The company also unveiled the Finacle Digital Engagement Hub that powers all the channel applications of the engagement suite. The hub works with all back-end applications such as core banking, payments, etc. as well as channel applications such as mobile banking, chatbots and more. It also offers abilities to design customer-centric processes leading to consistent cross-channel experiences. Representing the next stage of investment by Mariner, Spyglass Connected Solutions is an industrial IoT (IIoT) and AI software company that enables manufacturers to reduce downtime, enhance product quality, and balance production. It is dedicated to offering IoT and AI solutions, powered by the Microsoft cloud. Spyglass enables manufacturers to start with their digital transformation so that they realize its value quickly. “Mariner’s launch of Spyglass is a great example of the power of the Microsoft partner ecosystem to develop intelligent IoT solutions for manufacturers, powered by the Microsoft cloud. Together with our partners like Spyglass, Microsoft is empowering manufacturers to accelerate their digital capabilities and achieve unprecedented levels of operational and business excellence,” said Steve Hanna, US Industry Manufacturing lead for Microsoft. Author Bio: Sharmistha Sarkar has always had a keen interest in reading and writing. Though an engineering graduate, she forayed into the field of writing due to her love for words and the urge to do something different. Progressive Market Research has given her the chance to gain knowledge about different subjects as a senior content writer.